Duck Creek Village is a quaint alpine town located in Southern Utah. It sits high atop Cedar Mountain on the edge of an enchanting meadow. It is located in between Zion National Park and Bryce Canyon National Park- just over 40 miles to either one. The village provides a year-round destination for tourists from around the country. Originally a gathering place for local sheepherders, the beauty of the area was noticed by Hollywood executives filming in nearby areas. In the 1940’s Duck Creek Village and the surrounding areas became a hotspot for filming movies and television shows including “Along the Mohawk” (1939); “National Velvet” (1944); “My Friend Flicka” (1943); “How the West Was Won”; and the “Daniel Boone” series. The town’s delightful charm and idyllic scenery attracted more visitors to the famed area over time. Current-day Duck Creek Village is compromised of a “main street” with shops, restaurants, markets, and a gas station. The picturesque focal point of the area sits idly surrounded by fluttering aspens and towering pines. Today Duck Creek Village, Utah is a hot spot for tourists to vacation throughout the year. Each season provides a plethora of activities and events for visitors and residents alike. Summer and spring provide a cool mountain escape from the heat; while winter and fall bring snow and colorful surroundings. 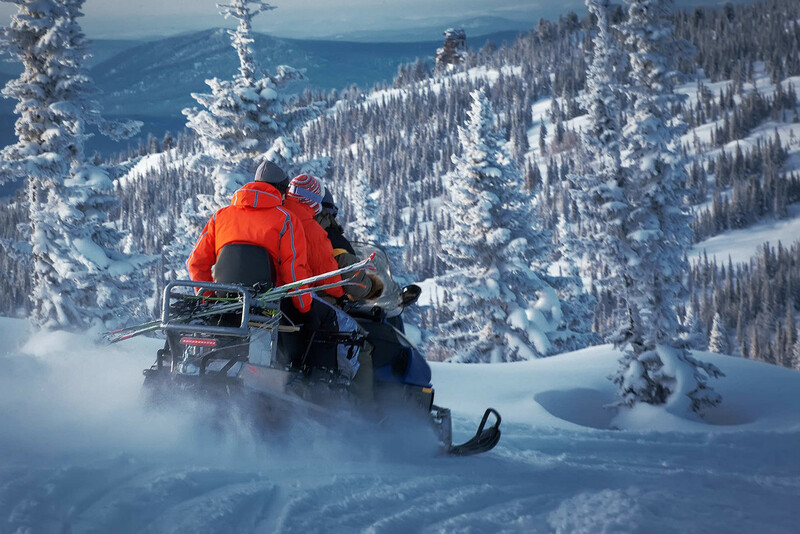 Duck Creek Village is widely known for some of the best snowmobiling and cross-country skiing in the entire country. 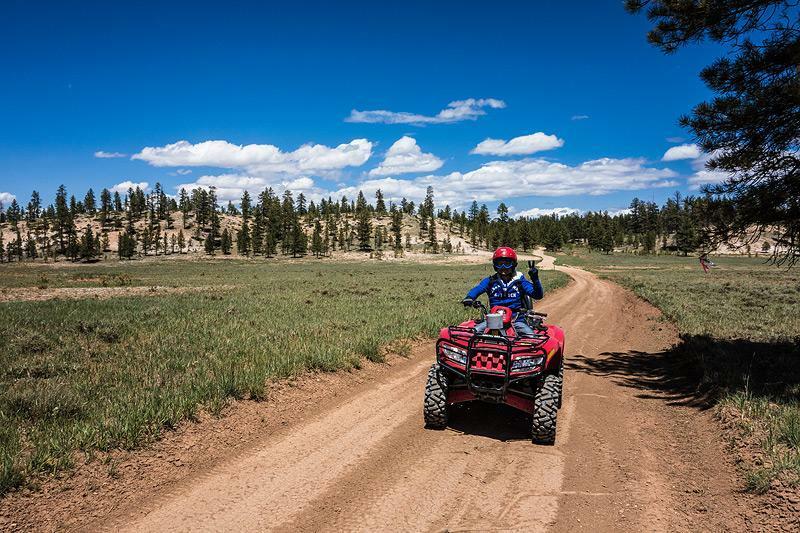 When the snow has melted, it quickly transforms into a haven for ATV riding thanks to the extensive trail systems. ATV and Snowmobile rentals are both available in town during the appropriate season, so don’t fret if you can’t bring one! Ancient lava flows have left their mark behind with massive fields of black lava beds dotted throughout the forest. Extinct lava tubes have created fascinating caves where the lava once flowed underground, which visitors are able to explore throughout the year. Mammoth Cave is the most well-known cave in the area, and one of the largest lava tubes in Utah. The cave is about a quarter mile long, and a unique experience to explore. Just make sure to wear sturdy footwear and bring a flashlight, as the cavern gets dark and wet the farther you venture in. Other caves in the area that visitors are able to explore include Bowers Caves and Ice Cave, both breathtaking and impressive sights to explore. Fishing also draws patrons to the multiple well-stocked fishing spots available year-round. 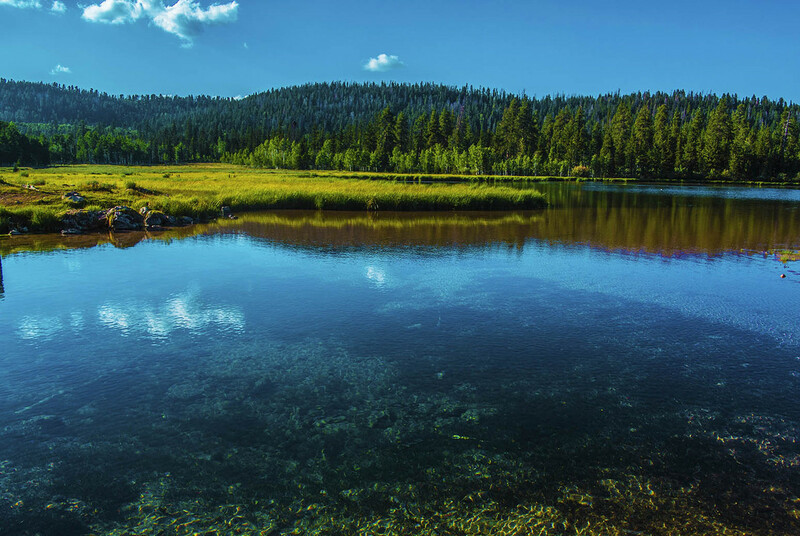 Aspen Mirror Lake; Duck Creek Pond; and Navajo Lake are all located within 5 miles or less from town, and an array of streams also meander throughout the stretch of forest. Navajo Lake has boat rentals, swimming, and hiking on the Virgin River Rim Trail- in addition to fishing. It is the only lake in the area that allows motorized boats. Duck Creek Village lodging is abundant year-round. Duck Creek Village Vacation Rentals are available in all sizes and locations. Vacation homes are widely used for lodging thanks to the ample parking, privacy, and comfort provided to guests. Duck Creek cabin rentals can be found from right in town, to secluded in the forest- so there is something for everyone! Don't forget about your furry friend. Duck Creek Village offers a verity of pet friendly cabin rentals so you don't have to leave your buddy behind!